The Abbott-Turnbull-Morrison Government has broken its promises to invest more than $100 million in infrastructure projects in regional Western Australia. Since taking office in 2013, the Coalition undertook to invest $260 million in four major programs put in place to build additional rest stops for truck drivers, fix the roads farmers and grazers rely on, repair old bridges, and upgrade the roads connecting communities across the State’s north. But it has delivered $157 million. 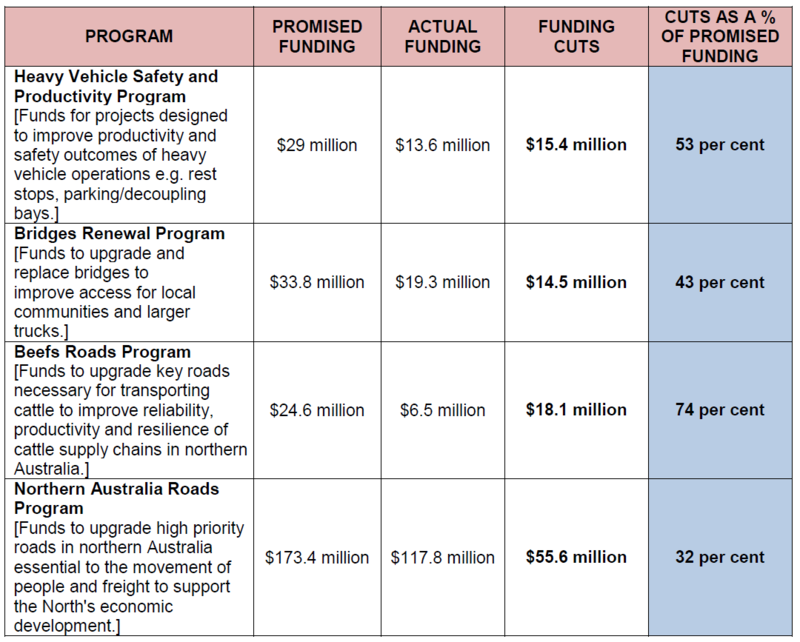 The broken promises are laid bare in the latest Mid-Year Economic and Fiscal Outlook (MYEFO) document which outlines actual Federal spending, as distinct from money promised on budget night. The situation will only worsen if the Coalition is re-elected at the next election. According to the Government’s own Budget Papers, Federal infrastructure grants to WA will more than halve over the next four years, from $977 million 2018-19 to $411 million in 2021-22. As Australia’s largest state, WA requires needs infrastructure investment to facilitate economic activity and jobs growth, particularly in regional areas. The state deserves better than the endless succession of broken promises being dished up by the Coalition, which has been so focused on its internal warfare that it has been unable to provide Western Australians with a fair return on their taxes. Australia needs a Shorten Labor Government to actually invest in infrastructure, rather than just talking about it.